Cervical Artificial Disc Replacement is a technology designed to replace	a symptomatic cervical degenerated disc with a metal and plastic ball	and socket prosthesis. A symptomatic disc is defined as causing neck (axial)	or arm (radicular) pain with or without a functional or neurologic deficit. Examples of structurally degenerated discs are herniated nucleus pulposes	(your classic ‘herniated disc’), spondylosis (evidenced by	the presence of bone spurs (osteophytes), and loss of disc height or hydration	of the disc (like a sponge drying out). The C-ADR is inserted from a front side (anterior) approach. It is implanted	at the diseased level after the disc has been completely removed (total	discectomy). The discectomy and removal of bone spurs will decompress	the nerves and spinal cord. The implanted C-ADR will maintain the joint	space height and potentially preserve motion at the surgical level. This	motion preservation may theoretically prevent or slow the progression	of adjacent disc levels from degenerating. This is a case of a 47 year-old female with excruciating neck and right	arm pain and weakness. The pain radiated down to her thumb. She had an	MRI that demonstrated a degenerated disc at C5-6 with loss of disc height	and a broad based disc herniation. She had failed a 6 month course of	non-surgical management in the form of medications, injections, and physical	therapy. She ultimately underwent a C-ADR at C5-6 with immediate relief	of her neck and arm pain. 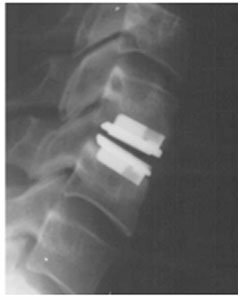 Figure 1 demonstrates a lateral X-ray with the implant in place.